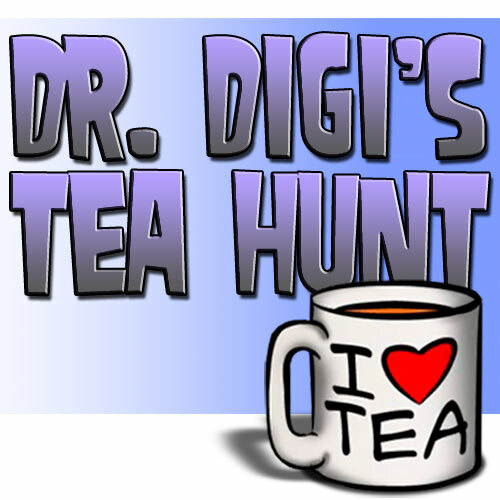 Well here it is my very first post as a Doctor Digi DT team mate. I had a really hard time choosing which Image to use, there are so many great ones, but I thought I would start with Mr Gunn, or Tommy to his associates and friends. As you can see from the pictures on the background he is very proud of the fact that he is a wanted man, having framed a poster he obtained from his neighbourhood. He is not as mean as he looks, he's a bit of a teddy bear on the inside, just don't cross the line and he will be your best friend. You can Get Tommy Gunn HERE along with others, sign up for the newsletter and you will get all the latest news and will see when new images are available in the shop. 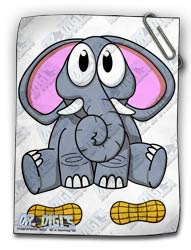 Critter Elephant is available HERE along with many other digital delights. are you waiting for? 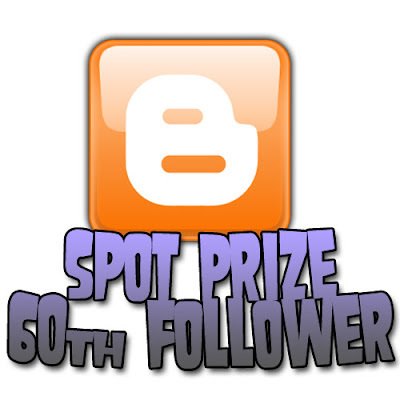 Get over to the website and get hunting! 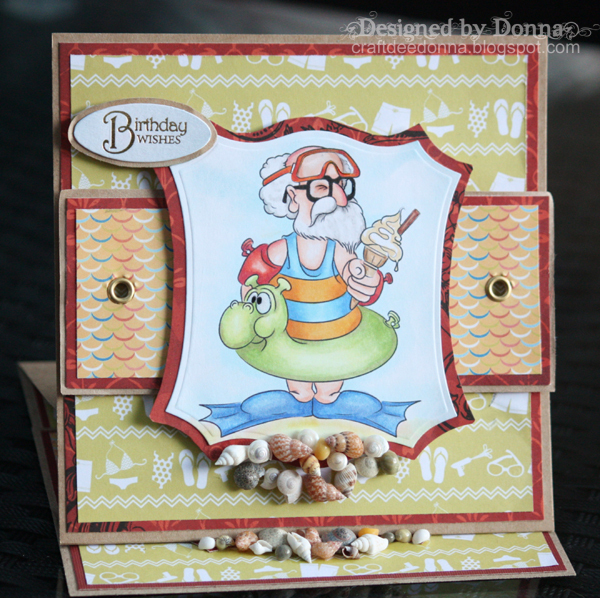 card over at Here Come the Boys challenge. Any one for an ice cream? Nothing can beat the freedom of being able to walk and slob around your own front room dressed just how you please. And Walter is no exception. After a week of suit and tie wearing, Walter really looks forward to the relaxing weekends where he has the freedom to wear what he likes. 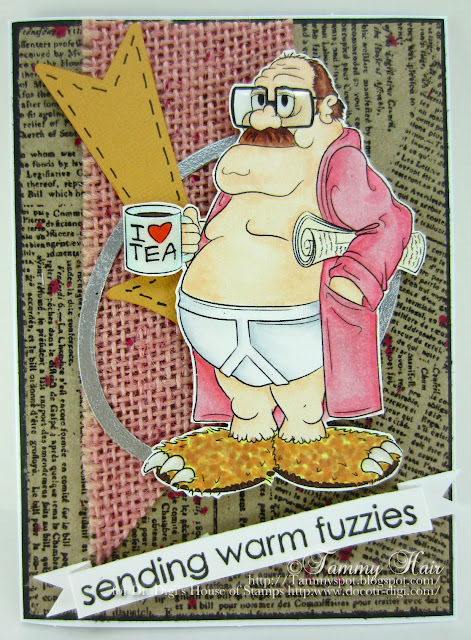 And if that means Y-fronts, dressing gowns and comedy monster slippers, then he's all for it! 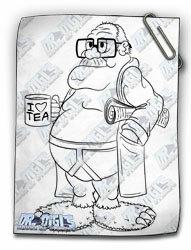 You can buy your very own Weekend Walter from Dr Digi! of summer challenge. Ambrose certainly fits the bill in this smashing card. in the Tea Hunt. 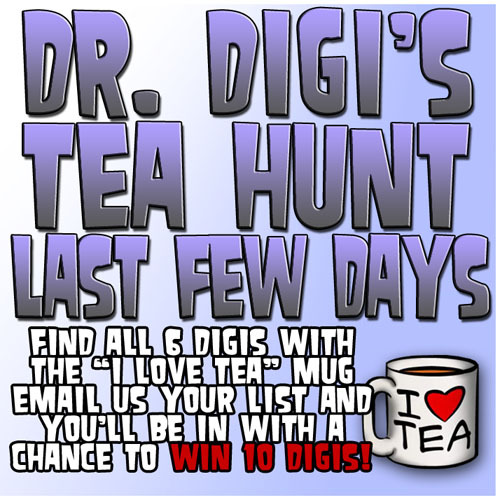 See if you can win your self some free digis. It has been a rough two months where Dr. Digi's House of Stamps, newest release, Weekend Walter, is employed. But he's earned a nice long weekend and his plans are to do nothing, except relax and maybe catch a few games. 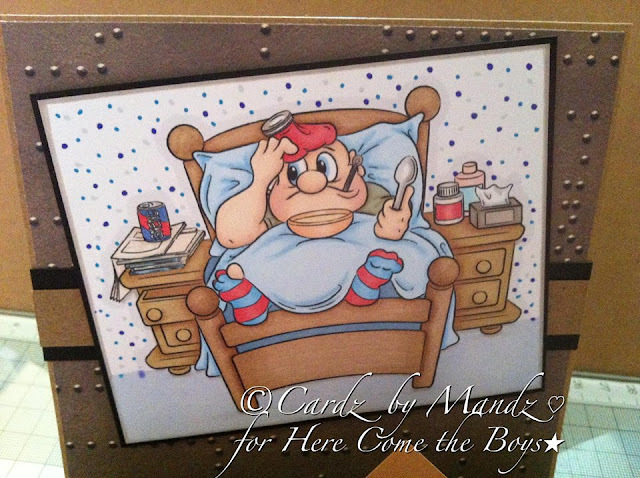 Let's not spoil his dream by telling him his in-laws are headed his way for a surprise visit! Walter might want to call his boss and volunteer for overtime! brought us another cute cuddly critter to call your own. 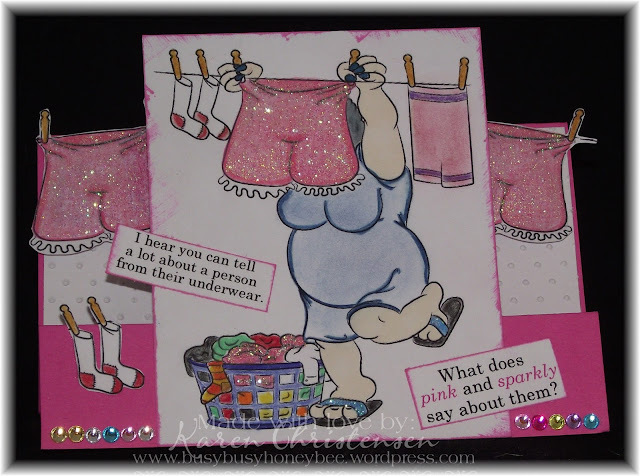 Karen C over at Crafter's Cafe' challenge has got the pink and sparklies pegged out. The neighbours are certainly in for a treat this Wash day. Blackpool. The list of chores is cleared. It's time for some Walter time. 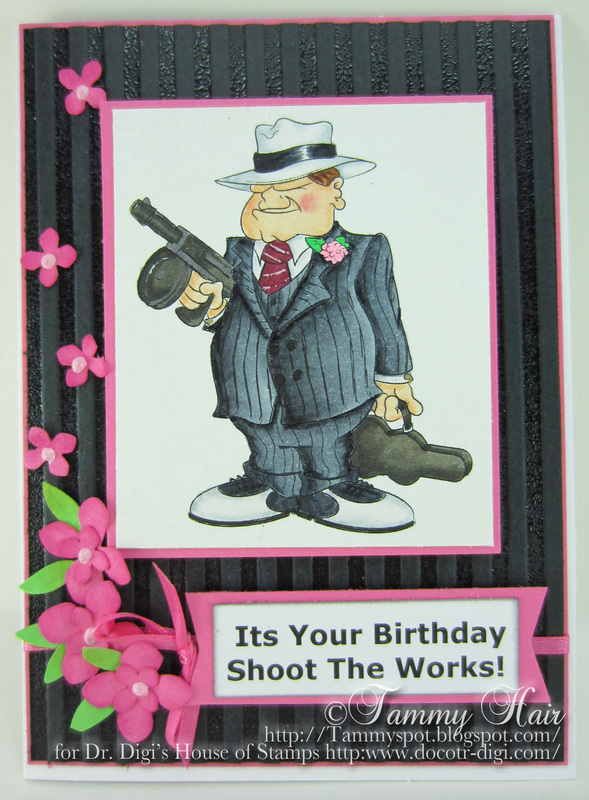 to Martini Bianca and put her on this bling-tastic card. For most teenagers, the long summer school holidays are a chance to catch up with friends whilst catching some sun at the same time. But not for High Score Hugh who would rather be shut inside (with the curtains drawn) playing a frenzied game of Invader Conquest. The hours and days simply whiz by and before he knows it, Hugh is back at school. High Score Hugh is available to buy in the store for the low price of £1. 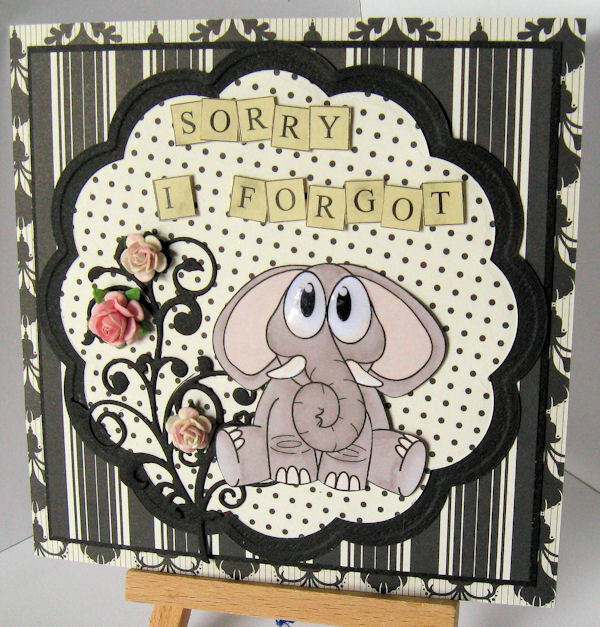 And the Invader Dots backing paper can be found for just £1 for 5 different shades! his favorite “I love Tea” mug in a few digis over the months. Six, to be precise. Dr. Digi's House of Stamps' cute tub of lard, Cuddly Critters Pig, is not going to market, and for sure he's not staying home and eating roast beef! 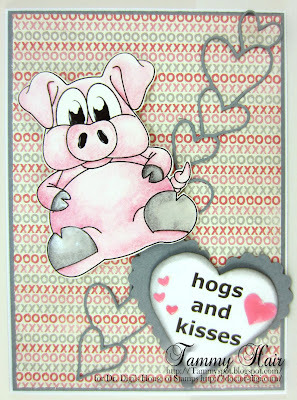 Instead he's going to do what pigs do and wallow in hogs and kisses! I think everyone would like a magical birthday, maybe because you want a bigger cake produced out of thin air or maybe you want someone to magically shave a few years off. You can find this delightful 'That's Tragic' character HERE and dig out your magic wand (or magic markers) to bring him to life. 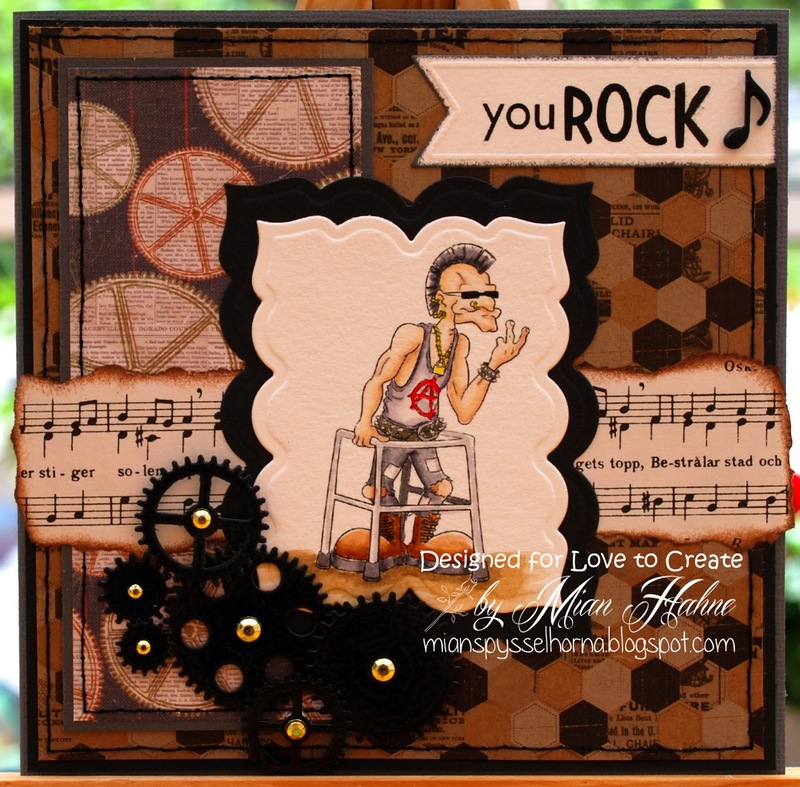 Mian picked Duncan Disorderly for her "Love to create challenge" entry. 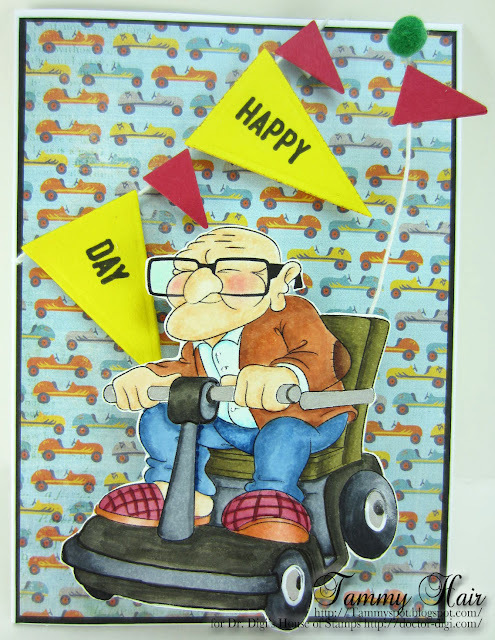 She's rocking that zimmer on this fantastic card. Get on down to the store to purchase your very own Flossy! Gentlemen, start your engines! Everyone is gathered to see who wins the race and Dr. Digi's House of Stamps' genteel, Mobility Malcolm, is the favorite to win with the fastest motorized cart! So sad that Malcolm forgot to recharge the dead battery! Maybe next year! 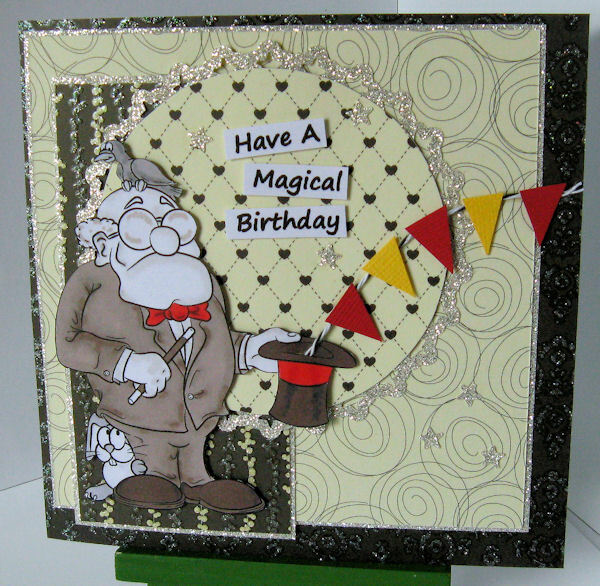 card with a difference over at Outlawz challenge blog. A last minute get together, don't want guests to mess up your house? 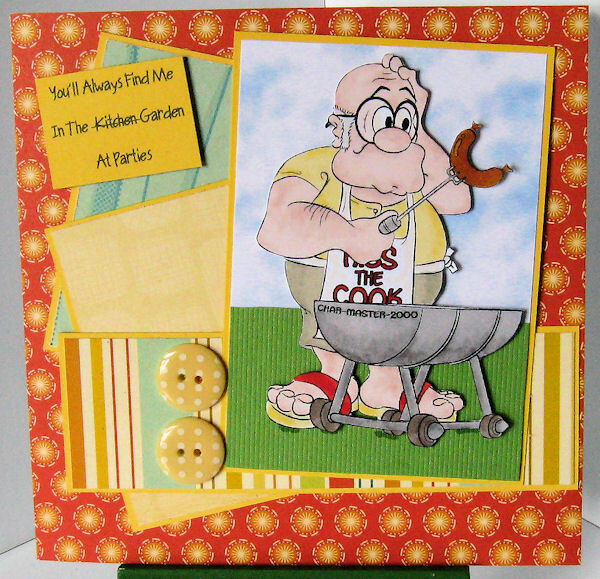 Time to get BBQ Bill on the case, he's extensive knowledge of sausages will have guests clamouring for more! You can find BBQ Bill HERE, grab him while the sun is still shining, grab him if it isn't but you want to remember happier times! 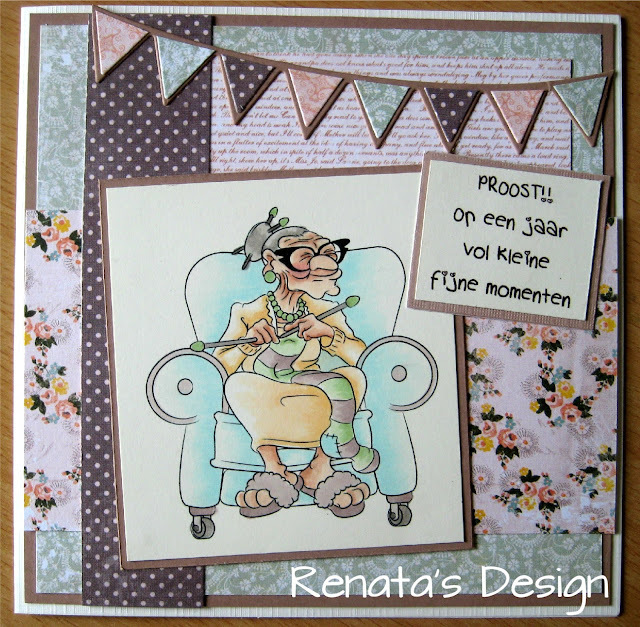 Amanda has picked Knitty Nora as her entry at Love to Create challenge blog. 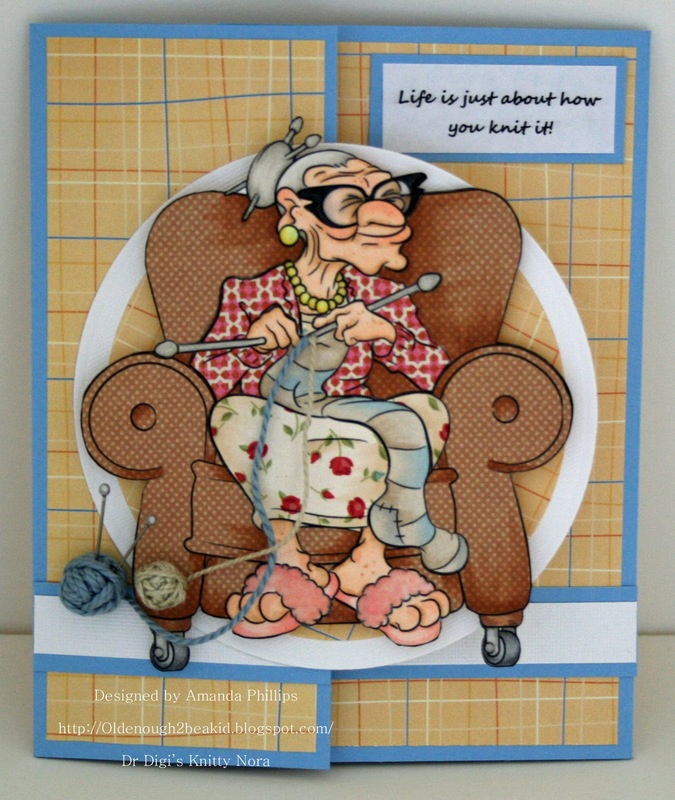 Nora's knitting up a storm on this fantastic card. Nancy has used Morris and Mildred for this fab anniversary card. Malcolm is a terror. Whizzing down the corridors and popping wheelies in his mobility scooter in the sleepy retirement home in Oswaldtwistle. The Matron is for ever yelling after him to mind the skirting boards. Not that he hears her - he's as deaf as a post. 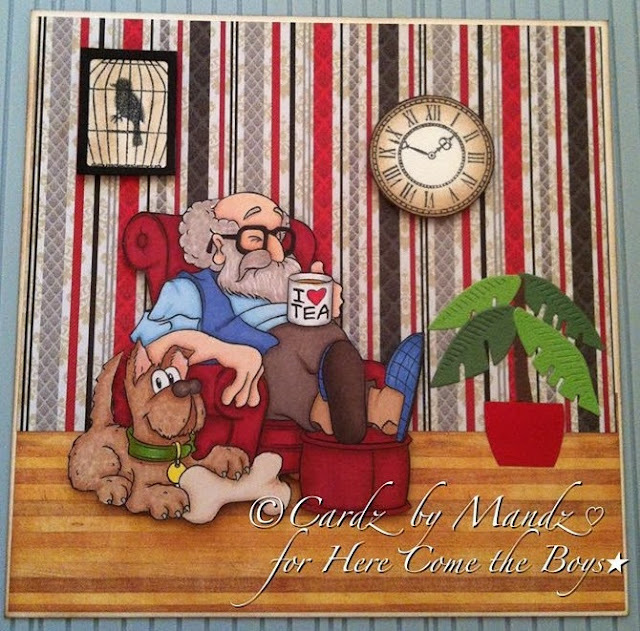 Mobility Malcolm is available to buy along with the retro Bloomin 70's wallpaper. Renata's back with another card using Dr. Digi's designs. This time she's used "Knitty Nora"
Today's a big day and cause for great celebration in the life of Dr. Digi's House of Stamps very debonair Tommy Gunn! He's getting married! But a little word of caution to you if you are attending the ceremony, when it comes time for objections, stay seated and keep your mouth shut, the gun is loaded and Tommy is prepared to shoot any person that lodges a complaint! Otherwise, have fun and enjoy the day! 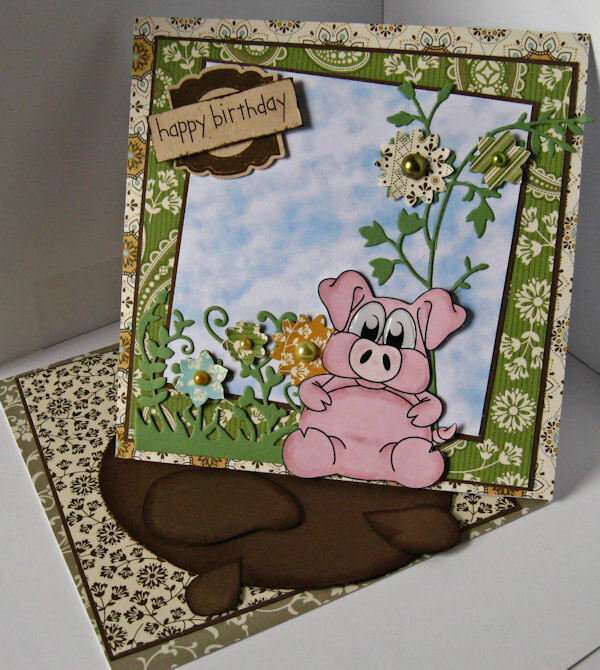 Happy as a pig in the next newsletter! Meet the new cuddly critter from Dr Digi's House of Stamps, a pig called Percival (well that's my name for him), he likes nothing better than to wallow in the muck but be surrounded by the sweet smell of flowers, he's in touch with his piggy feminine side! 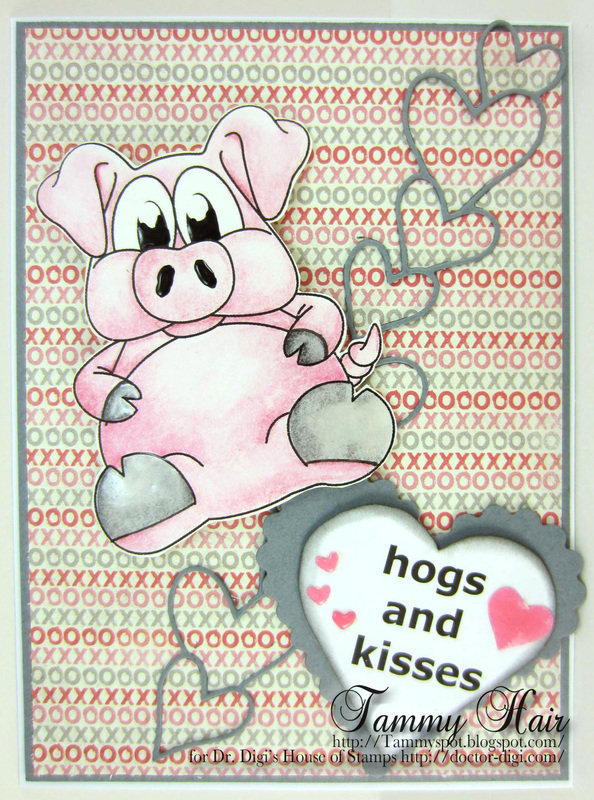 You can find his handsome piggyness on the Dr Digi's House of Stamps from next week and if you want him precoloured you can find him next week too with a free turnip no less! Jill Hogg posted this brilliant birthday card for her Dad on our Facebook page. 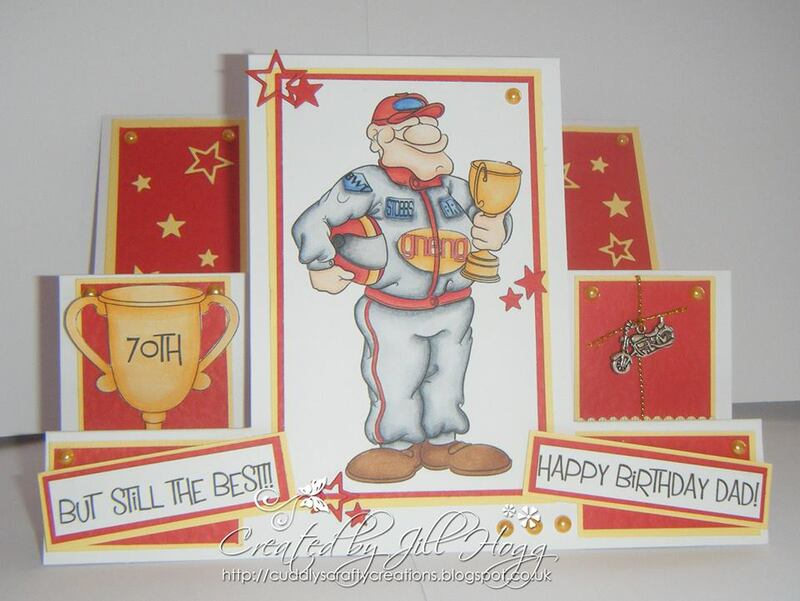 She used First Place Phil for her motor bike mad dad, sounds like the perfect choice. We liked it so much we had to share it here too.